He suggested checking out those parallel universes. Just two weeks before his death, renowned physicist Stephen Hawking submitted a research paper that suggests parallel universes and predicts the end of this one. 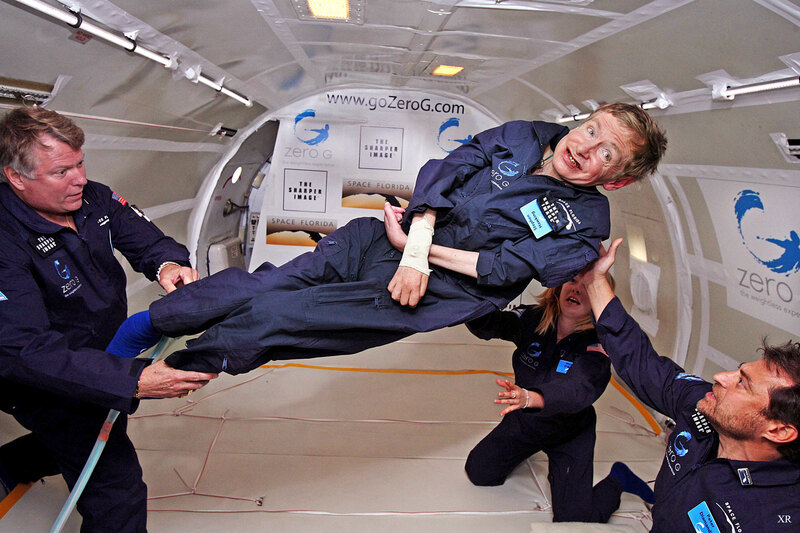 Hawking and his co-author Thomas Hertog published their research in “A Smooth Exit from Eternal Inflation,” detailing how scientists may also be able to detect other universes using a spaceship. According to Hertog, Hawking finished writing the paper from his deathbed, leaving behind a final legacy that is worthy of the Nobel Prize. “He has often been nominated for the Nobel and should have won it. Now he never can,” he told the Sunday Times. Using his “no boundary theory” that he devised with physicist James Hartle, Hawking describes how Earth hurtled into existence during the Big Bang. His theory argues that the Big Bang phenomenon was accompanied by several “Big Bangs,” and thus would have created multiple universes. Hertog said that Hawking was inspired to write the paper because they both wanted to give the concept of the multiverse a “testable scientific framework.” The theory of inflation, whereby the universe expanded exponentially after the Big Bang and then continued to expand at a slower rate, is still considered impossible to test. But Hawking’s final paper offers a theory that can be tested, making it a ground-breaking shift in how the concept of the multiverse can be approached. But perhaps the most controversial aspect of Hawking’s paper is his prediction of how this universe will end. Hawking said that this universe will eventually fade into blackness, much like a star running out of energy. The theory is not a fan-favorite among some cosmologists and received mixed reviews from peers. Still, that never stopped Hawking from at least warning people about the fate of the universe. Last June, Hawking gave a talk at the Starmus Festival and suggested that humans figure out a way to move off this planet before it’s too late.